Sweet potato chews are a great alternative to the ever present rawhide chews, which contrary to pupular belief, really aren’t good for dogs. They present a choking hazard, and they don’t digest very easily and could become lodged in the intestines creating a dangerous health hazard. In addition, many rawhides are processed with chemicals which aren’t good for dogs either. 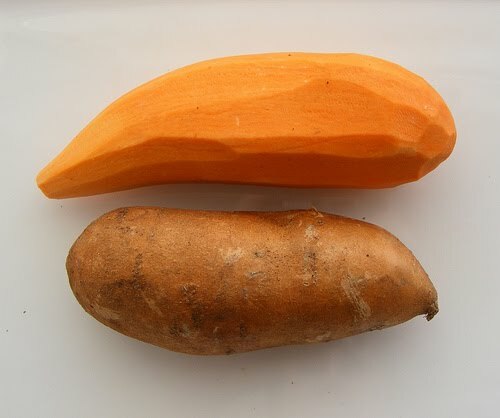 Wash a sweet potato (organic is best and we like to peel them). Cut down the middle lengthwise. Then cut long lengthwise slices about 1/3 of an inch wide and place them in a single layer on a cookie sheet (use a stainless steel, for healthier cooking). Posted on December 24, 2011, in recipes and tagged animals, chew treats, dogs, holiday treat, pets, sweet potatoes. Bookmark the permalink. 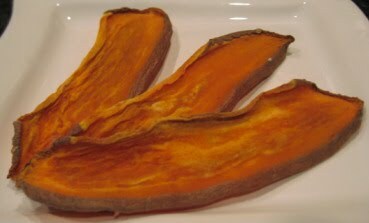 Comments Off on Homemade sweet potato chews.